Hello there. How's it going? I'm doing OK. Really glad it's Friday. How about you? Well softball is over for this guy as my season ended yesterday and it was a pretty good year besides the bee sting and dislocated finger. However, I'm not going to lie and I'm really looking forward to not having any obligations 2-3 times a week during the evening. I will be taking the next week off as I will be heading out of town for a few days with the lovely Mrs. Shife to celebrate our 10th wedding anniversary. And a big, special thank you to Grandma for coming into town to watch the kiddos for us. After the short break, I'll be back with a vengeance as it will be Shifetober and I will be counting down the days until my book is officially available for public consumption. Are you ready for 31 days of blogging from me? I hope I'm up for it. And thank you to everyone for their comments and support about my book coming out soon. Very much appreciated. A little bit princess & a little bit Hulk. 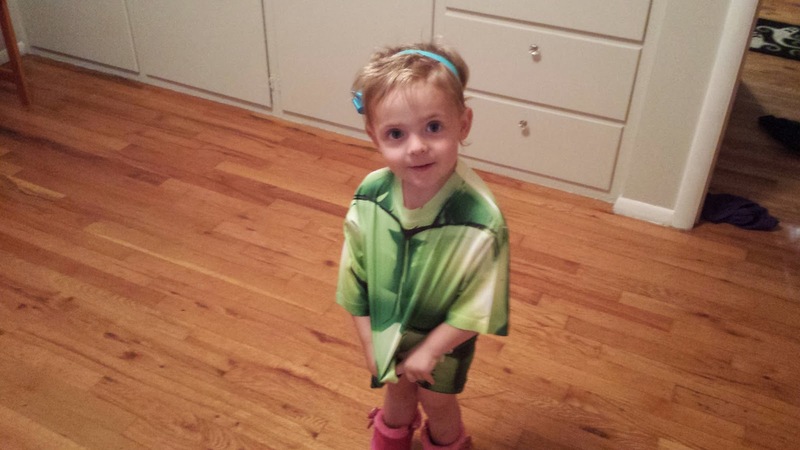 She's wearing a hair bow, pink books and a Hulk shirt. 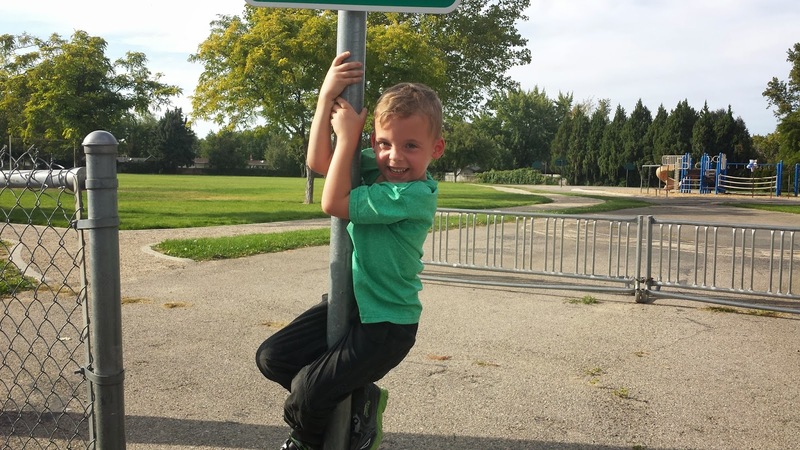 Kyle was pretty happy with himself that he could climb a pole. Just enjoying some popsicles in their costumes. 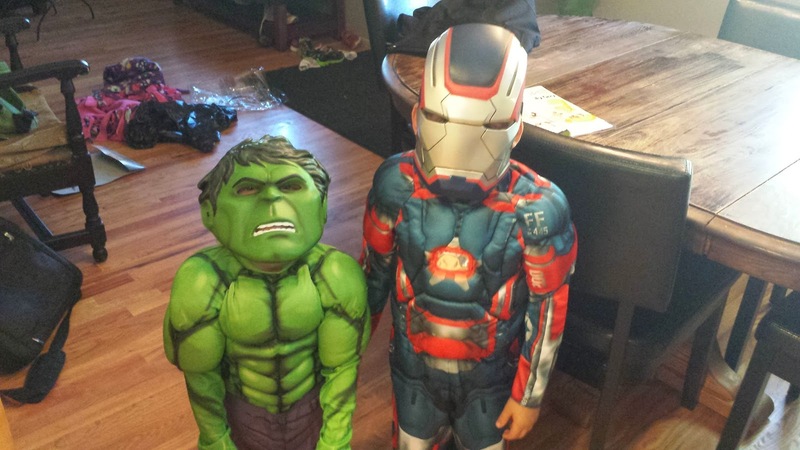 The Incredible Hulk and Iron Man are ready for Halloween. 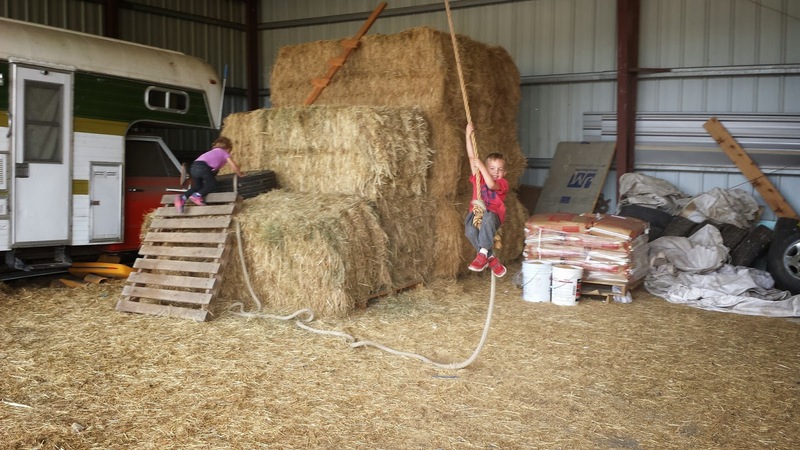 The kiddos had a great time at Grandma & Grandpa's house swinging from the hay bales. I can't stop laughing about why Kyle got in trouble. If that's the worst he does, I think he'll be fine. Lol @ chip off the old block. The pic reminds me of how Zen kids are (if I'm using that right) how into the moment kids are, if only more adults could be like that. Grandma that will take care of the kids - priceless. Poor Kyle. Honestly, sometimes these things are best ignored and a watchful eye kept. Hope you and Mrs S have a wonderful time on your anniversary outing. Ten years married, eh, I bet it only seems like yesterday. Princess Hulk knocked me out. Owen told us that Gibson wants to be Wonder Woman for Halloween which made me laugh so hard I choked. Owen is definitely into climbing too. Bamboo, trees, ropes. You and Mrs. Shife have the time of your life and congratulations on ten years! I'm with Jon; funny stuff. Personal boundaries Kyle :) Happy anniversary to you and Mrs. Shife, have a great time! Happy 10th anniversary! 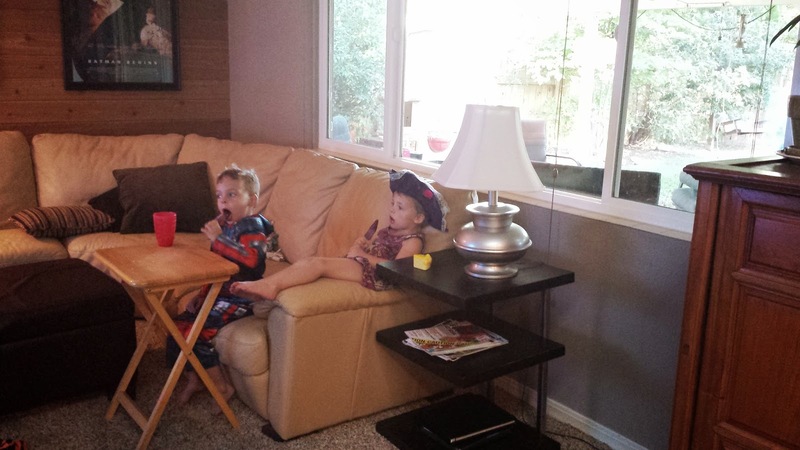 I'm sure you will enjoy the "alone time" knowing the kiddos are safe with Grandma. I think little Miss Hulk is a fashion setter. As for Kyle, just goes to show how innocent he is. Its almost a shame to have to start chipping away that innocence. But these days the dumbest and innocent things can get a guy into trouble. grandma and grandpa's house looks heaven on earth for kids with those hay bales. Kyle going for the girls' laps during story time? I call that an opportunist.